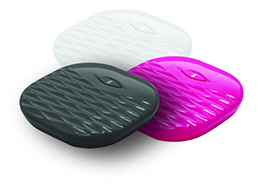 Keep your iPhone, iPad or iPod touch on the night table and welcome your day with the cool vibration of the Pulse. The TCL Pulse from Amplifyze is the newest way to get your day started. Just place the pulse in your pillow case, set the alarm using our easy app, and enjoy your sleep. If you need an extra nudge, use the audible alarm as well. Control 10 different alarms throughout your day and decide on the strength of vibration, the loudness of alarm, and the alarm patterns as well. Just need an alarm during the week? The Pulse can do that. Need a countdown time for a quick nap? The Pulse can do that. Need to be reminded of a meeting, time to take medicine, to let your kids know it is time to shut off the TV. The Pulse can be your handy little assistant. Whats great is that it is small enough to put in your pocket and comes in a variety of colors. *Compatible with: iPhone 4s, 5, 5c, 5s, 6 & 6+, The New iPad with Retina Display, iPad mini, iPad Air, and iPod 5th Generation. Purchase your TCL Pulse today. Click here to start shopping.